Sandy was a new nurse and although she was nervous, she was relieved to find out she was one of 4 new nurses hired in her department. At least she wasn’t alone! During their first week of orientation, all 4 nurses were told to stop by the unit to find out who their preceptors would be. They all stood in a line as the manager told each nurse who would precept them. John’s going to be your preceptor – he’s the best nurse we have here and loves teaching new nurses. Maggie is your preceptor – everyone here loves Maggie. She is like the mother hen; always taking care of her peeps. Yvonne will be your preceptor – she is the nurse everyone tries to be like! Sandy was last in line and couldn’t wait to hear about who would be her preceptor because they all sounded so great!!! Well, her manager said, Erin will be your preceptor. Now, Erin isn’t as bad as everyone says. She’s a great nurse but just doesn’t like people very much. Sandy’s relief was quickly replaced with fear and dread. New nurses fear two things when they start their first job: 1) harming a patient, and 2) their preceptor. Unfortunately, they have every right to be fearful of their preceptor. Preceptors are well known for being some of the biggest bullies in a department. Pam, a new nurse, was very nervous about her first job as a nurse and was awake for most of the night worried about her first day. She didn’t know who her preceptor was so upon arrival to the unit, she stopped at the front desk at the nurse’s station. When the unit secretary looked up, she told the secretary her name and that she was new to the unit. The unit secretary looked on the schedule, found her name and hollered for Amy who was to be her preceptor. Pam was excited and hopeful, but when Amy looked up at her from the desk, she sighed and gave a look of disgust. She motioned for Pam to come to where she was sitting. Amy then told Pam, “Hey. I didn’t want to be a preceptor but they told me that I had to if I wanted to get a raise this year. So, you’re stuck with me. Try to stay out of my way and make sure you don’t kill anyone on my shift!” Needless to say, this new nurse’s first impression was not positive. A preceptor is supposed to be a trusted guide; someone who helps the new nurse transition into clinical practice with ease. Someone who plays the role of educator, evaluator, protector, socializer, and who is a role model for professional practice. When a new nurse looks back on her early years, memories of her preceptor should be positive, not give her nightmares. To protect our newest nurses from any potential bully preceptors, leaders have a responsibility to make sure the preceptors aren’t the bullies. 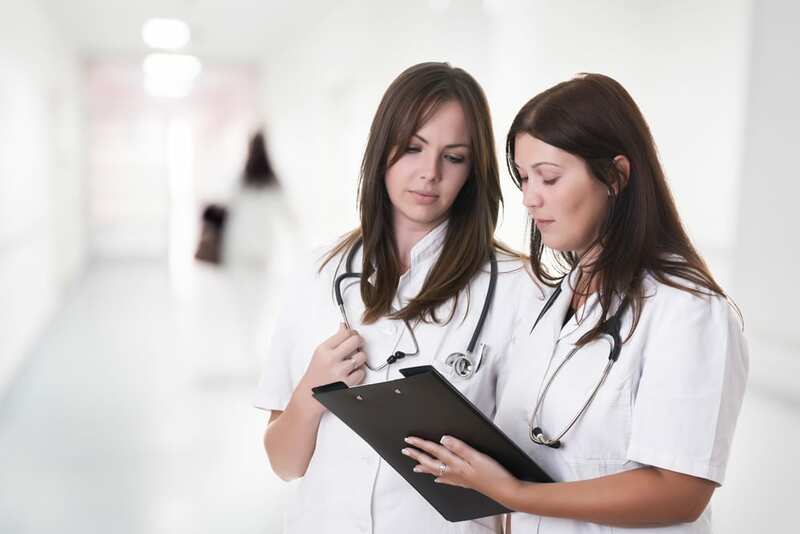 A key ingredient to successfully on-boarding new nurses into an organization is a strong relationship with their preceptor. Studies show that the quality of the new nurse/preceptor partnership had a direct relationship with how competent a new nurse felt about his or her nursing practice. Choosing the right preceptors, therefore, is critical to ensure a highly competent, confident nursing workforce. Not every good, competent nurse is a good, competent preceptor. Make sure you’re choosing people who are excellent clinically AND are professional role models for behavior. Preceptors are expected to act as role models for nurses who are new to the organization. They should exemplify best practice and convey a sense of caring and compassion in their work as a professional nurse. These expectations need to be verbalized to each preceptor so that they know you’re counting on them to perform and behave in these ways. You can’t assume they know this! Leaders tend to assume preceptors know what they’re doing. I’m telling you right now… you can’t assume that. Meet regularly with your preceptor beyond the standard meetings you have with the orientee, preceptor, and perhaps educator. Ask questions about how they are helping their orientee master clinical skills but also, what they are doing to help them develop their communication skills, build relationships with all members of the healthcare team, AND, address any incidents of disruptive behaviors. Remember, just because the preceptor is a great clinical nurse doesn’t mean he or she is a professional, supportive, and nurturing role model. These meetings could help you uncover issues and provide you with an opportunity to reaffirm behavioral expectations. Meet regularly with your new hire too! Ask questions about their relationship with their preceptor. Look for any indication that their preceptor isn’t supportive. Why do we think that a great clinical nurse should intuitively know how to precept a new nurse? Being a great preceptor requires learning essential skills such as how to give feedback, how to evaluate someone’s performance, how to educate, etc. You can’t just assign someone as a preceptor without providing them with the skills they need to succeed. And… one half day class isn’t enough. Preceptors need ongoing education and training. A common issue is that some preceptors think that by being hard on new nurses they are helping them. The intent might be to help them learn and become competent nurses, however, studies show that when we are hard on new people during the learning phase they become LESS competent. There is a positive correlation between CONFIDENCE and COMPETENCE. Some of your preceptors might not know this and in turn, torture their orientee. Ongoing education and training could prevent some of the most common issues we find with preceptors. If you suspect your preceptor has been torturing their orientee, take him or her out of the role and assign a new preceptor to your new nurse. DO NOT allow a nurse who is unprofessional, inappropriate, unsupportive, and uncivil to be responsible for new nurses. After two weeks in orientation, Sandy was beside herself with stress and anxiety. Erin barely spoke to her, left her on her own to figure things out, and copped an attitude any time Sandy asked a question. One night, miscommunication between Erin and Sandy resulted in a patient not being cared for. It wasn’t discovered until shift report. Erin blamed Sandy, however, in retrospect, how didn’t Erin know Sandy wasn’t caring for that patient? If Erin was doing her job as a preceptor, she would have known earlier in the shift that nobody was taking care of that patient. Luckily the patient was okay, but it shook Sandy to her core. On her way home, she called her husband to let him know she was quitting. Fortunately, the manager was informed, realized what happened, called Sandy at home and told her she was a good nurse. That is wasn’t her fault and that she was assigning her a new preceptor when she came back to work on Monday. She never let Erin precept again. Stop allowing experienced, clinically competent nurses who are nasty precept your newest nurses. We are hemorrhaging really great nurses out of our profession. Make sure they aren’t leaving because of the person you choose to precept them. This is a great article. I am a new nurse and am dealing with a preceptor nightmare. This is my second career and I can’t handle her attitude. I love working with my patients, but I would rather just quit than spend another shift being talked down to. Oh no!!! I can totally relate! Please please talk with someone and ask to change preceptors!!! If you're not comfortable talking to your boss, talk to one of the educators there.